The delegation of the United States Special Envoy to Sudan and South Sudan held talks with the Sudanese Gum Arabic Company on Thursday and showed interest in whether the country is ready for the US market of gum Arabic. The president of the Gum Arabic Company, Abdelmajid Abdelgader, said that the team of special envoy Donald Booth wanted to be guaranteed on whether Sudan was ready to export a sufficient production of gum Arabic to the US. The president told reporters yesterday that during the talks at the company's headquarters in Khartoum, they raised the problems facing the gum Arabic production, the most prominent being the American sanctions. He added the ban of international banks dealing with Sudanese banks and the difficulty of transferring money to the problems. Gum Arabic is an emulsifier and a stabiliser made from the branches of the acacia Senegal tree. Sudanese gum Arabic was the only exemption when the United States imposed trade sanctions against Sudan in 1997 for supporting terrorism. The US said that such a ban would have hurt the country's food industry. Sudan is the globe’s foremost producer at an estimated 88,000 tons per year. Sudan, Chad, and Nigeria produce 95 percent of gum Arabic exported to the world market. 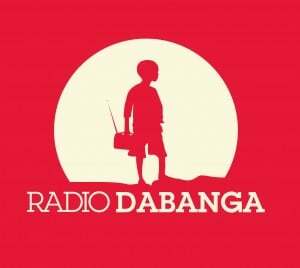 An economistandnbsp;https://www.dabangasudan.org/en/all-news/article/sudan-should-step-up-gum-arabic-production-economisttoldandnbsp;Radio Dabangaandnbsp;that increased export of gum Arabic may not only lead to improved relations with the US, but will boost the Sudanese economy significantly. The deputy-chairman of the Union of Sudanese Businessmen, Yousif Ahmed Yousif, told reporters that his union briefed the US envoy on Thursday also on the harsh complications for people working in the international business, because of the States' embargoes on the country. 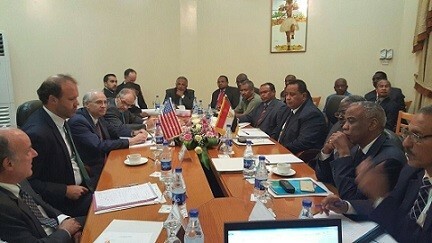 On Wednesday,andnbsp;Booth discussed with Sudan’s Foreign Ministerandnbsp;Ibrahim Ghandour the outstanding issues between the two countries.andnbsp;“The visit comes within the framework of our diplomatic efforts to develop ties with the Sudanese and to discuss all issues framing relations between the two nations,” said the US embassy spokesman, Caroline Schneider. 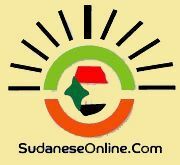 A provisional UN agenda for a sustainable development summit next month in New York has listed the Sudanese head of state as scheduled to speak on 26 September. Sudan’s Deputy UN Ambassador Hassan Hamid Hassan replied affirmative when asked whether President Omar Al Bashir would attend the summit.